We have a specialist prescription point to support patient treatment for a range of disciplines including Urology, Nephrology, Neurology, Orthopedics, Cardiology, Gastroenterology, Neonatology, Gynaecology& Obstetrics and Internal Medicine. In order to provide our patients with the best treatment, we have taken the initiative to invest in the latest and most advanced OT technology. We have sourced our equipment from the most reputable global suppliers such as Philips (Netherlands) and DV Lab (USA) with full back-up service to ensure 24/7 reliability in the services that we provide. 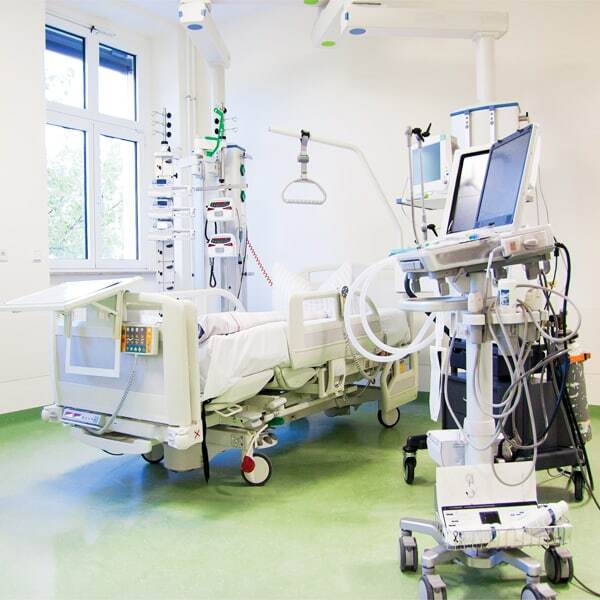 We are well equipped to provide critical care to patients who have undergone major surgery, patients with single and multiple organ failures, as well as ill and prematurely born infants and young children requiring critical pediatric care. 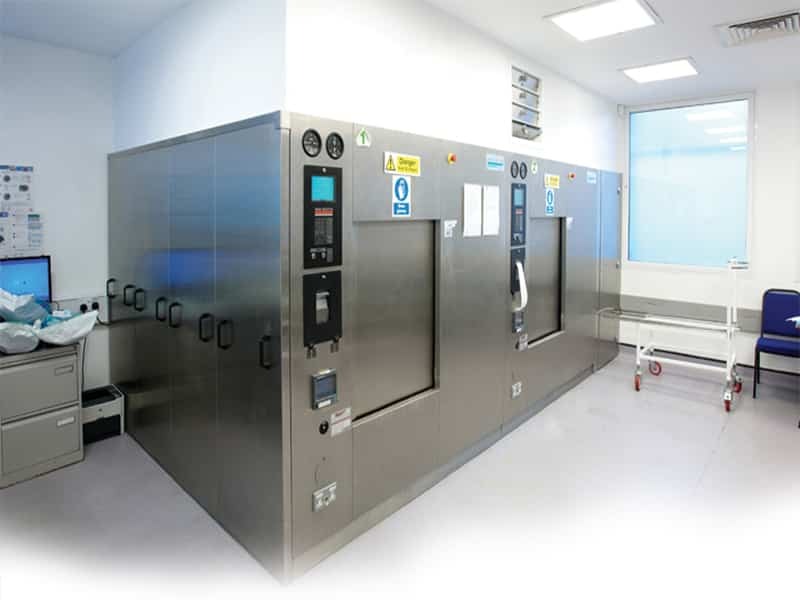 Reliability, speed, quality and consistency are at the heart of all of our CCU operations, and our specialist equipment will help us to deliver the best service to all of our patients. We have sourced Holter monitoring equipment from Philips (Netherlands). Al Haramain Hospital features the most modern Intensive Care Unit for patients in need of critical care, close monitoring, and supervision. 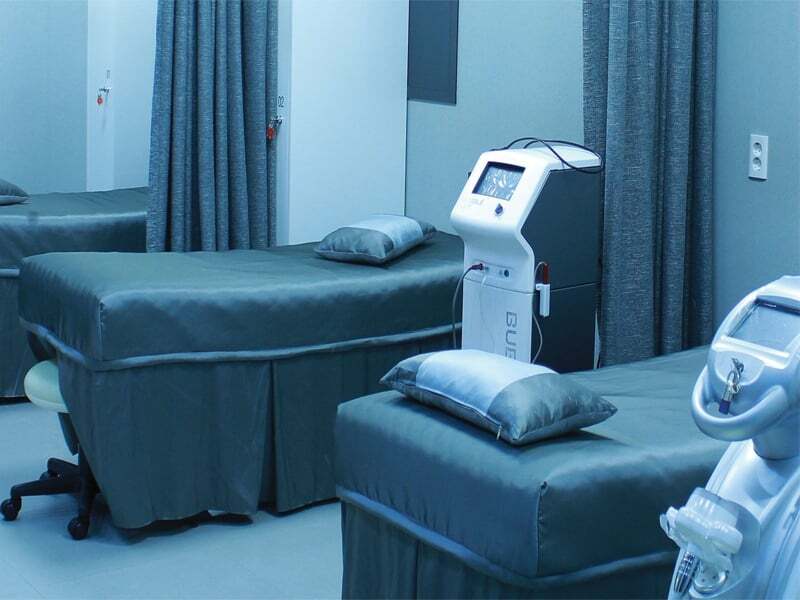 Our ICU is fully equipped with the most advanced, hi-tech, modern equipment and patient monitoring systems. Reliability, quality, and service with care and compassion are at the heart of our operations and we aim to ensure normalcy in bodily and organ functions for our valued patients. Every human life is worth preserving and as such, our Hospital is committed to providing patients an environment that makes them feel safe, confident and assured, while working hard towards their full recovery. The ICU is monitored round-the-clock by the most qualified and experienced doctors who will treat and care for every human life with the utmost dignity. 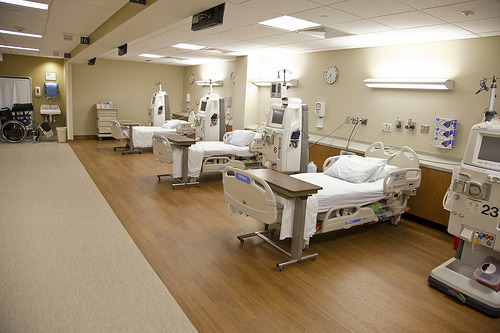 We have a spacious dialysis ward with the most modern dialysis unit. At Al Haramain Hospital we conduct dialysis using the most modern machine by Fresenius (Germany). Our dialysis unit has one of the largest, best-equipped dialysis programs in the country. Our physicians and nurses are highly skilled and committed to providing the best care and treatment. Our Hospital is at the forefront of clinical excellence and features advanced technology and applications to generate the productivity required to meet today’s healthcare challenges with theIngenia 3.0T. Through dStream, Ingenia delivers premium image quality with digital clarity and speed and with iPatient, it provides patient-centric imaging, from patient set-up to image result. A Computerized Tomography (CT) scan uses X-rays to produce detailed pictures of parts of your body and the structures inside your body. CT has revolutionized medicine by allowing doctors to see diseases that were previously detectable only by surgery or at autopsy. CT is non-invasive, safe, and well-tolerated. It provides a highly detailed look at many different parts of the body. We have the most modern technology from Philips USA (Premium 256 slice iCT) which is the latest inclusion in the Bangladesh imaging arena. New realities call for new ways of working. Our doctors are dedicated to fulfilling the diagnostic promise of CT imaging in ways that were never thought possible. This has been made possible by means of Philips Computed Tomography. 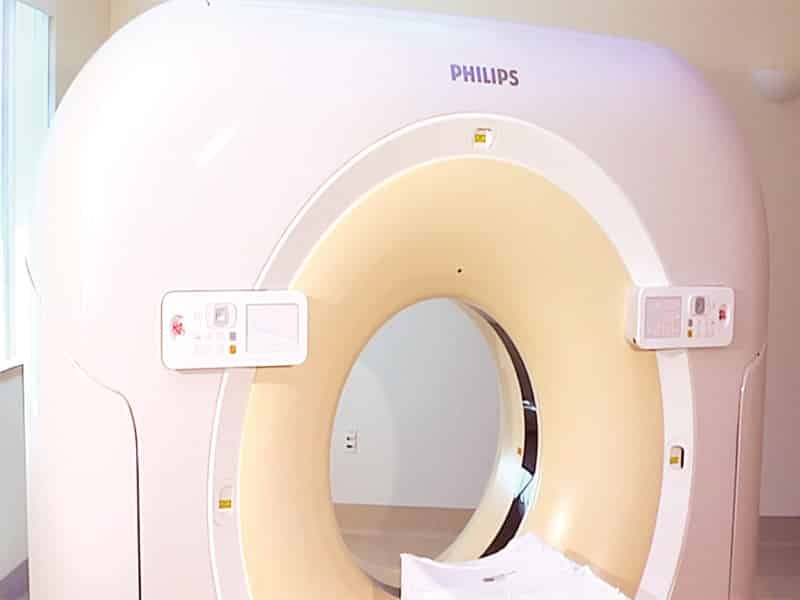 We are advancing patient care with innovations in CT, product design, radiation dose management, image quality and advanced clinical applications. 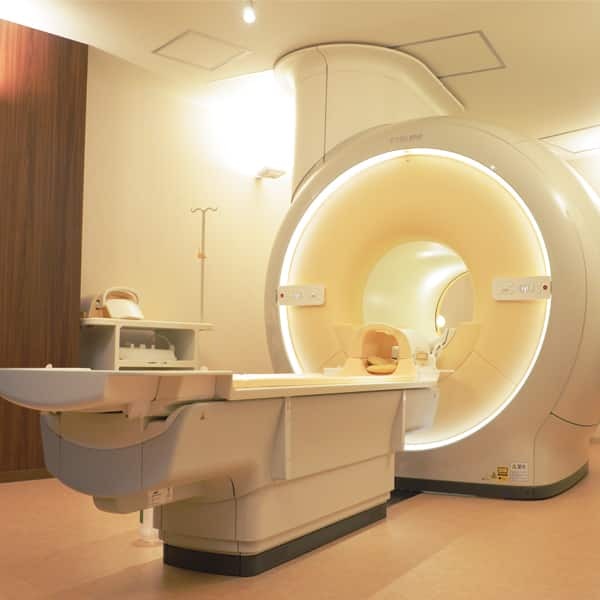 Infrastructure-wise, our hospital stands out with all modern and hi-tech medical equipment and instruments. 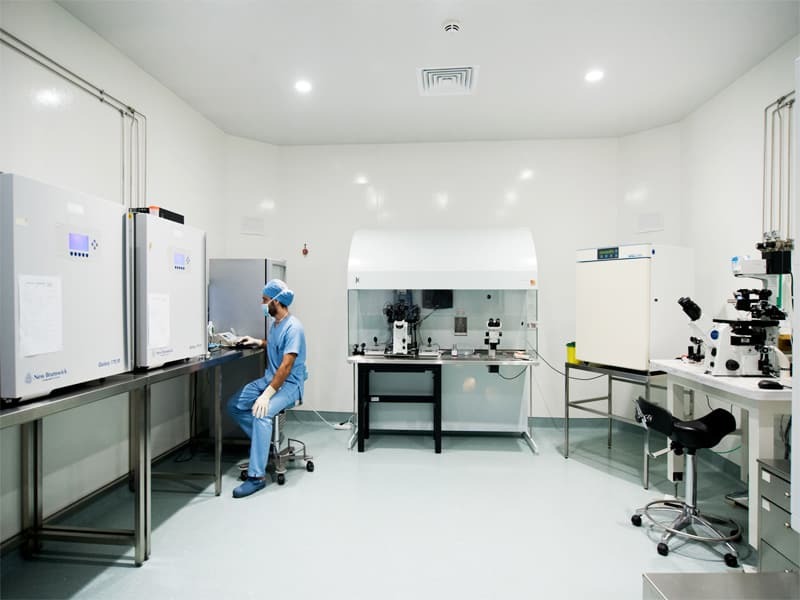 The ultra-modern Central Laboratory, with integrated laboratory solutions, supports round-the-clock and error-free patient diagnosis with 100% accuracy and perfection in carrying out all patient investigations. We have a well-equipped and self sufficient pathological lab which meets the diagnosis needs of pathology patients. We have a Sysmex Hematology Analyzer from USA, Olympus Microscope from USA and Johnson & Johnson from USA. 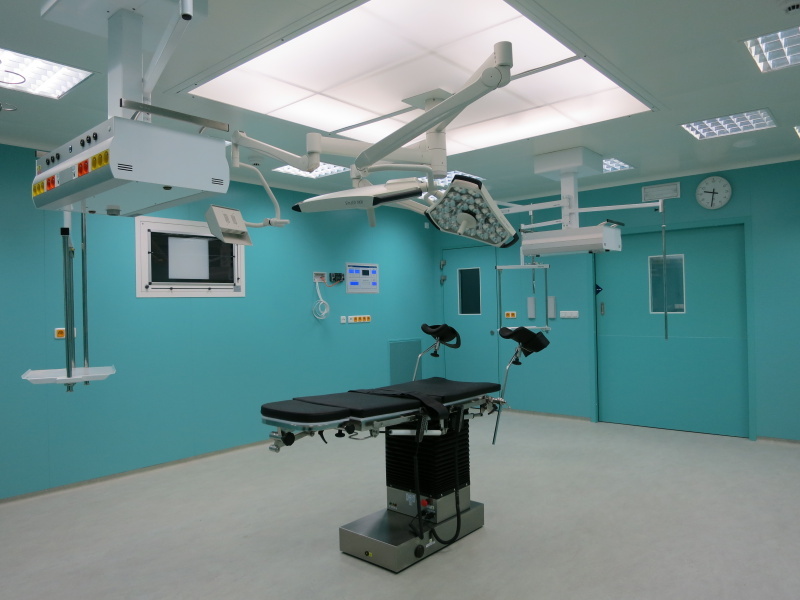 Al Haramain Hospital’s CSSD is an integrated facility that performs sterilization and other actions on medical devices, equipment and consumables for subsequent use by health workers in the operating theatre of the hospital and also for other aseptic procedures. Central sterile processing plays a key role in our hospital’s infection prevention efforts, particularly in relation to surgery patients. 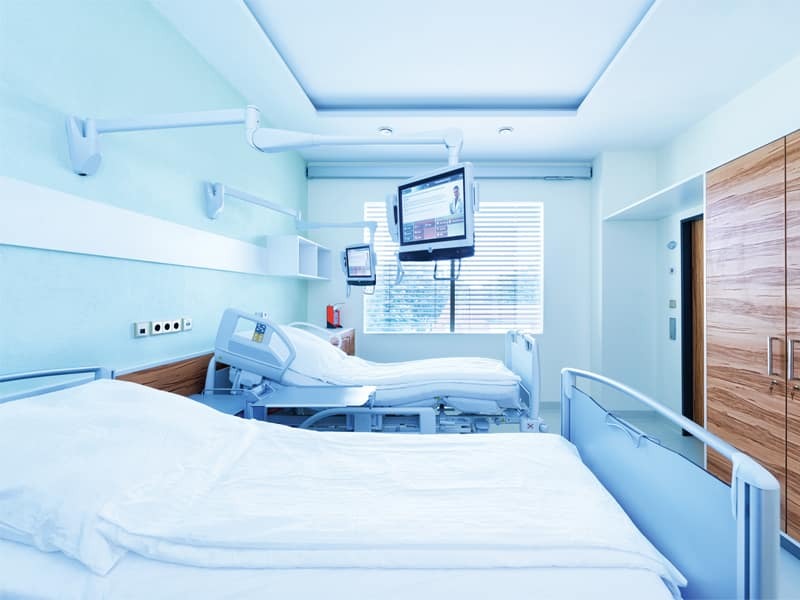 Failing to follow the appropriate sterile processing standards can result in infections, which increases costs and causes harm to patients. We ensured proper staff training on their use and we follow the manufacturer’s recommendations and build a strong working relationship with OR staff. We provide different non invasive tests to our patients which include ECG, Eco-Cardiography, ETT, CT Angiogram, Cardiac MRI and 24 Hour Holter monitoring. We recognize that patients need a warm, relaxing and ambient environment in which they can rest and recover. In that regard, we have built an Executive Ward Unit, in which patients are cared for, monitored and visited also. Our wards are both visitor and patient-friendly and can provide privacy between one patient and the next. In line with our aim to remove the nuances of a typical ‘hospital’ we have ensured that our ward furniture is as comfortable as possible in order to give patients the feeling of being in a ‘home’ and not a ‘hospital’ For the convenience of our patients, our nurses and doctors will be available immediately should any patient in our executive wards require their attention. Al Haramain Hospital caters for patients with diverse treatment, care and attention needs. 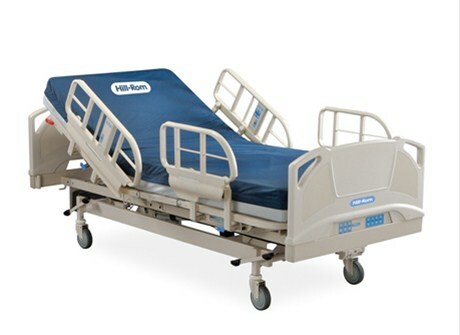 We have several different types of wards to meet the different needs of our patients. 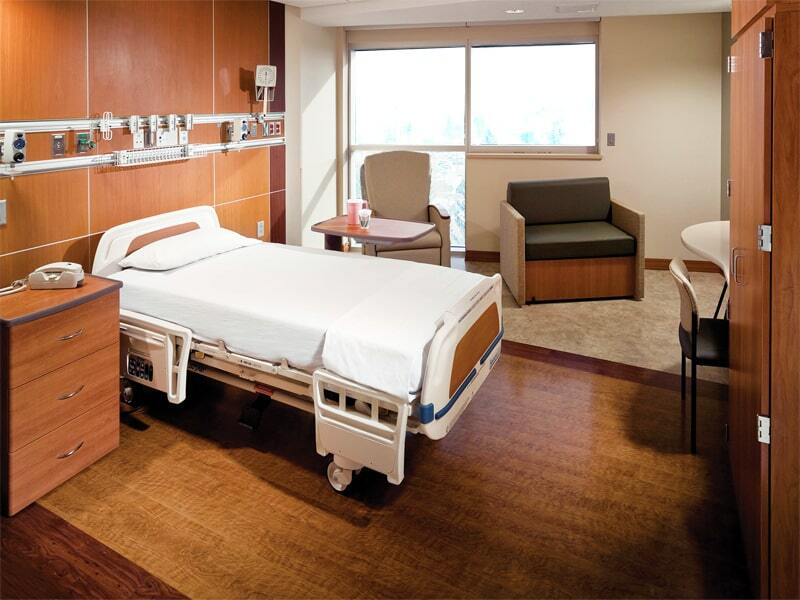 Our patient rooms range from common and executive wards to private suites to ensure that our patients are cared for in an environment that is as comfortable as they would like it to be. 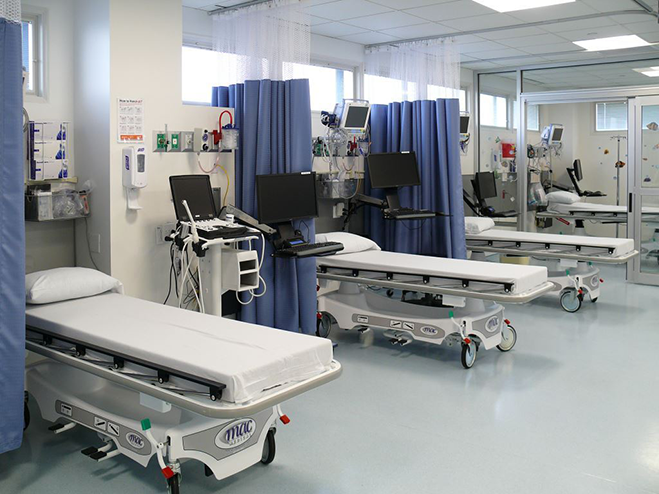 All of our patient rooms are excellently maintained, well ventilated, hygienic, comfortable, soothing and relaxing, in order to allow extreme focus on the highest standards of treatment. Excellence is our standard at Al Haramain Hospital and everything about our facilities and services is subject to the highest standards of excellence. In line with our vision to become the best healthcare provider, Al Haramain Hospital is proud to have exclusive patient suites which are large, high-end, luxurious single-patient rooms designed to offer the best comfort for both the patient and loved ones. Being a five-star hospital requires the provision of five-star services and our exclusive suites have such a standard of excellence to ensure that patient visits are as homely and refreshing as possible. In our exclusive patient suites, patients and their visitors will have access to entertainment and communication facilities to keep in touch with the world, with round-the-clock room service to ensure that patients feel at home during their hospital stay. We have a pharmacy in the hospital premises which stocks a large range of medicines and provides logistical support to the medicinal needs of our patients. At Al Haramain Hospital, pharmacy staff closely work with physicians and specialists to ensure that the drug requirements of our patients are met. We are committed to providing an adequate supply of safe, effective and good quality drugs consistent with needs of patients. The pharmacy is open 24 hours a day and 7 days a week. 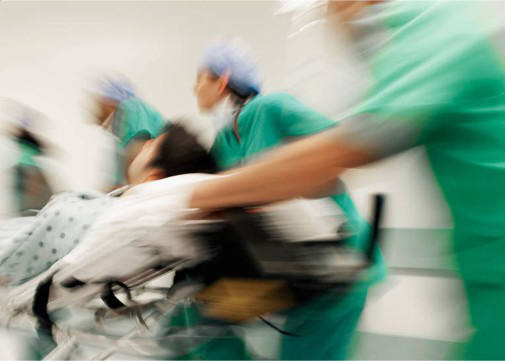 Having a medical emergency can be a very frightening and critical experience. Our Hospital recognizes this and has equipped its Emergency Response Unit with ambulances that can be dispatched immediately following an emergency call. We aim to reduce as much as possible the response waiting time and we move with speed to ensure that our patients’ lives are preserved and that treatment can begin immediately upon arrival at the scene. 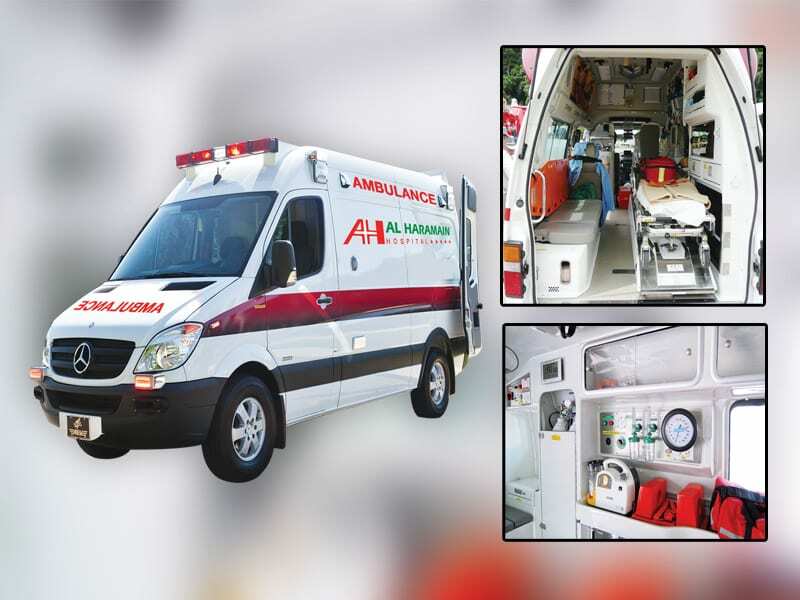 Al Haramain Hospital’s ambulances are fully equipped with the best and most advanced mobile emergency care equipment and our Emergency Services are available round-the-clock, with dispatch units manned by the best, highly trained, qualified and experienced paramedics and Emergency Medical Personnel. Waiting inside a hospital can be exhausting and unsettling. For the convenience of our visitors, Al Haramain Hospital has several cafeterias scattered across the Hospital’s floors to minimize the inconvenience of having to move from floor to floor in search of snacks and refreshments. 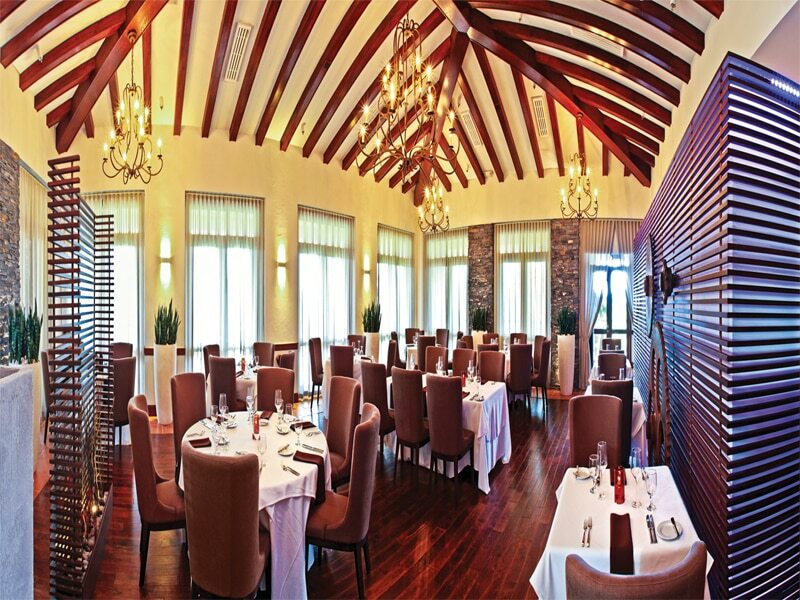 Our cafeterias will cater for diverse tastes and will enable us to make your stay or visit as refreshing as possible. The cafeterias have been designed with the well being and health of our patients and visitors in mind and offer a range of delicious snacks that are healthy too, in line with our aim of encouraging a healthy lifestyle among the community while at the same time meeting the diversity in tastes among our valued patrons. It is our goal to ensure that Al Haramain Hospital is not just another hospital, but a place that is both relaxing and refreshing at the same time. 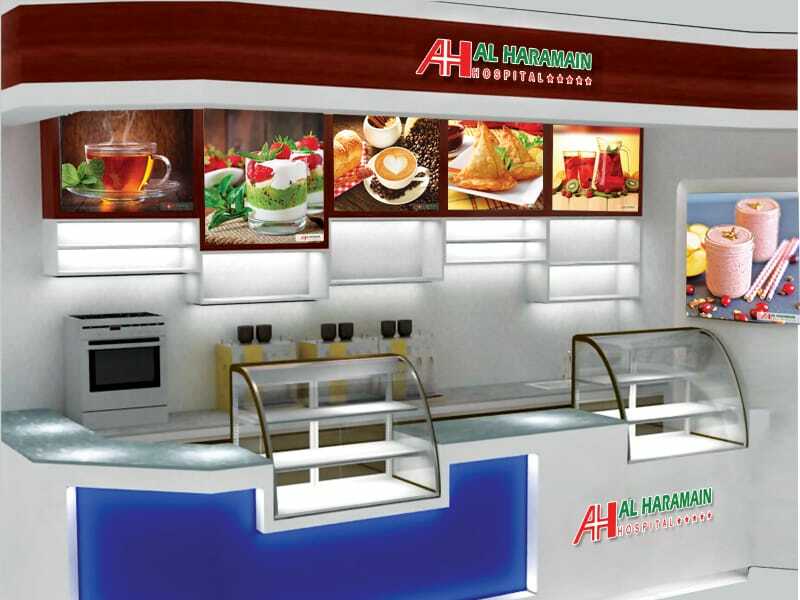 Al Haramain Hospital features a five-star restaurant in pursuit of our goal of removing the nuances of a typical ‘hospital’ and enabling us to provide our patients and visitors with an environment in which they can dine just as if they were outside a hospital. 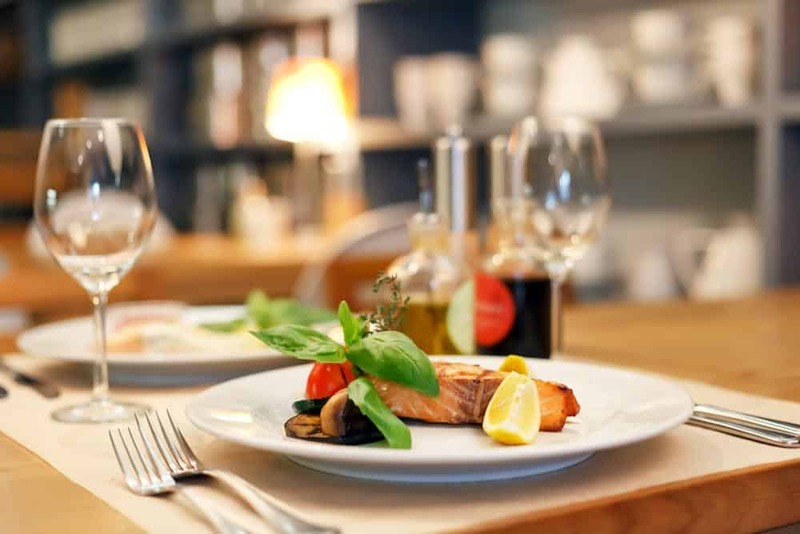 Our restaurant is staffed with the best chefs, who are well experienced to provide patrons with delectable dishes in an environment that is friendly, welcoming and with service delivered by people with passion. A lot of hospitals tend to consider food as just an expense which needs to be cut or kept as low as possible. At Al Haramain Hospital, we think differently. We consider food to be a source of well-being for patients, staff and visitors. 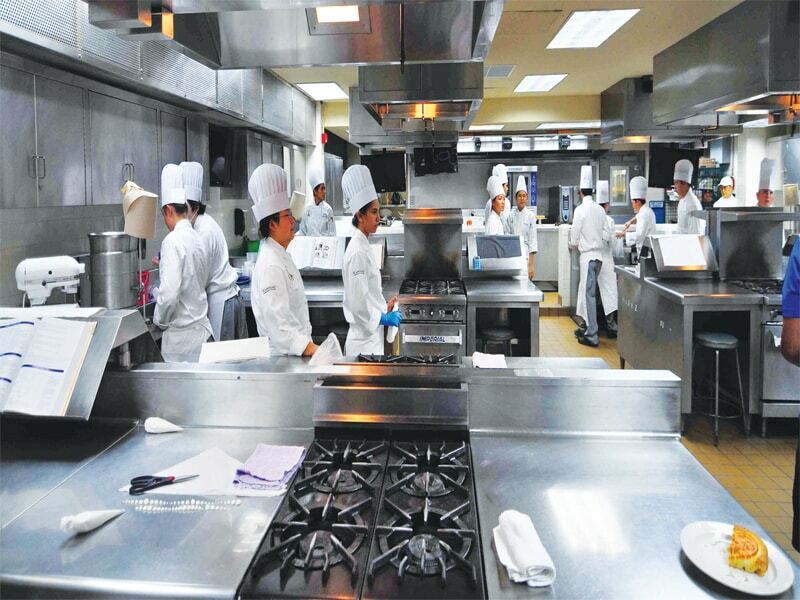 Food is an essential part of the healing and recovery process, and thus we have taken the time to invest in a well equipped kitchen, cafeterias, and have also included a large, five-star restaurant at the top floor of the Hospital.